When you surf the web, you can access any site in the world from your phone if you’ve got 3G. Whether you‘re on a bus or beach there are no obstacles! Soon this same accessibility will be available for our complete portfolio of cooling systems so you can access them wherever you are, and whilst on the go. What if you need to change parameters urgently but can’t get into the warehouse? No worries. What if the ambient temperature suddenly increases and settings need to be altered? That’s fine…you’ll be able to handle everything through 3G, so even if you’re on the other side of the world, it won’t matter. Our PLCs (Programmable Logic Controllers) will allow you to remotely monitor and change your processes via portable tech. So instead of making a bee-line for the actual machine, you can pick up your tablet or smart phone, and in a few taps, have changed settings to alter performance, prevent downtime, and keep rewards being delivering across your whole building. 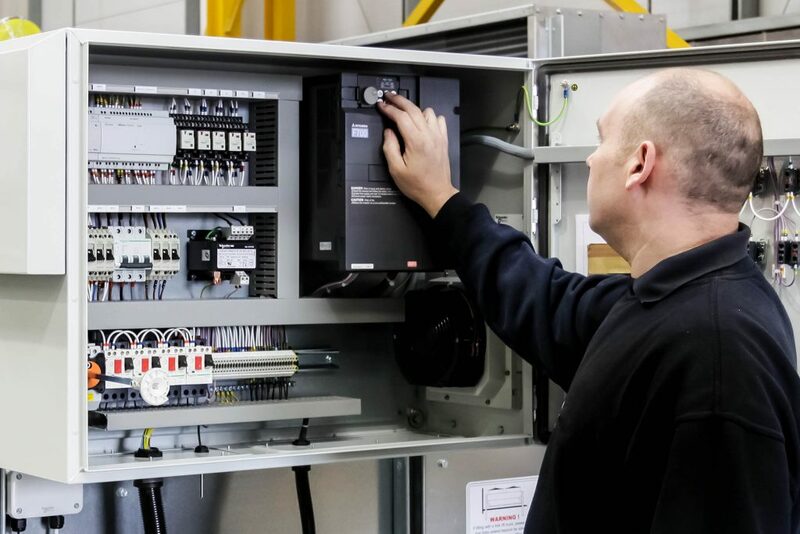 Our control panels already come with the option of HMI touchscreens and the ability to output a multitude of data in various control languages including Modbus or BACnet. They have wireless control inbuilt so operations managers can have the freedom to alter settings via Wi-Fi from when it is appropriate to attach the equipment directly to the site network but, for more secure sites the addition of 3G capability offers a simple stand-alone means of communicating with the outside world. With the possibility of appliances talking to each other, it’s all becoming more intelligent too. Today’s sophisticated controls can tell operators any knock-on effect of changing settings – taking into account a whole building infrastructure rather than just looking at the energy performance of appliances in isolation. So who knows, you could be sitting sipping a G&T on a sun lounger, get an update from your control panel, react accordingly, and remotely control the whole operation. It will be possible!